When you have an urgent plumbing problem call the team at Plumbers Raheny. Our skilled staff are specialists in domestic and commercial plumbing jobs and are always on call in Raheny and the surrounding areas. Our Raheny plumbers have built their reputation on customer satisfaction along with affordable plumbing services. We continually use our expert knowledge to swiftly fix any plumbing issues our clients may experience. Our repeat clients are happy knowing that when we start a job, they can be assured that it is finished to the highest standards. Unlike some companies we always stand by the work we complete. 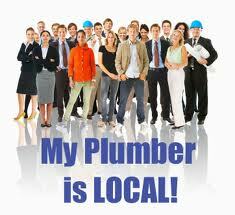 Each job falls under our “plumber Raheny” 1 year parts and labor guarantee. As a proper, well established company we like to point out to all customers we have liability insurance to the amount of €13.5 million. At plumbers Raheny we are happy to offer all of the following services and more. • Repairing leaks, this could be from a simple leak to a burst pipe. • Bathroom plumbing and full refurbishments. We repair and install everything your perfect bathroom could need including toilets, sinks, baths showers and bidets. We also provide a first rate tiling service where required. • A 24 hour emergency plumbing service. No matter the time of day our team at Plumbers Raheny are on call. We promise to be at your home or business within 1 hour for all emergency calls..
• Drain and pipe unblocking. We can always get your water flowing again using either drain rods or our high pressure jetting unit. • All of our team are R.G.I. registered gas safe plumbers. This means we can work with natural gas. • Boiler installations, servicicng and repair. Our team of fully qualified R.G.I. registered plumbers, can conduct any work on your boiler, quickly, efficiently and safely. • A full range of central heating services. This could be installation and repair of water pumps, cylinders, tanks, radiators and thermostats. • Underfloor heating: We can help you to warm your home by fitting state of the art modern underfloor heating. • All pipe work, fitting, removal and repairing undertaken including natural gas pipe work. • Installation of indoor and outdoor taps. • Wet room installs. All pipe work expertly completed so your wet room functions perfectly. • Whole house plumbing. Our staff can plumb your entire house from top to bottom, perfetc for renovations or new builds. We are happy to provide estimates without obligation for all work just call 01-6874850. Our team at Raheny plumbers use their vast plumbing experience and knowledge to deliver high quality, swift service no matter how large or small the job. For all services including Emergency Plumbers Raheny Call us on 01-6874850. Our rapid response time of less than 60 minutes for all emergency plumbing, ensures that you are not left stranded when you need local Raheny plumber urgently.